The Ludlow Food Festival – 7th-9th September – is the original Food Festival in the UK, set in the castle grounds of the beautiful town of Ludlow. With a stellar line up of food names, incredible producers, and demos a plenty, one of the crown jewels of the festival are the Taste Workshops run by Slow Food Ludlow. The festival is sponsored by Slow Food supporter Heritage Cheese who are also sponsoring the Taste Workshop with Quicke’s cheese, where Mary Quicke herself will be speaking. Heritage Cheese are offering the prize of accommodation at the beautiful Grain Loft about 30 minutes from Ludlow on the 7th and 8th September, plus entry and tickets to the Quickes event. Entry closes 31st August 2018 – Good Luck! 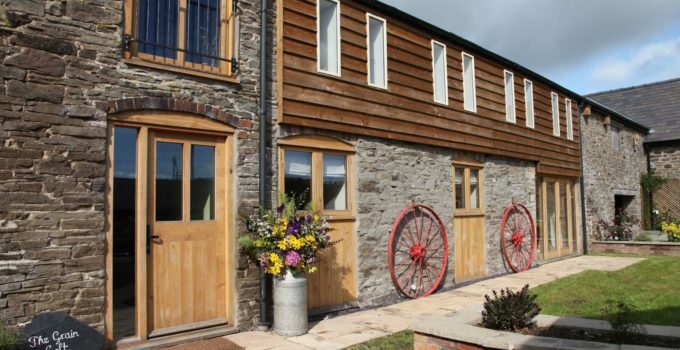 The Grain Loft, located in the stunning Shropshire Hills close to both the historic towns of Clun and Ludlow, makes the perfect base to explore this glorious part of the world. A 30 minute drive to Ludlow will find you at the Food Festival, but The Grain Loft is also ideally located for you to discover the beautiful county of Shropshire. The Grain Loft is within the Shropshire Hills AONB where there are great walking and cycling opportunities on the doorstep. Note: The prize is for accommodation for two nights only, only on the dates listed. No other prize is offered, and there is no cash alternative. Transport is not included, and the winner will be responsible for getting to the accommodation and from the accommodation to the Festival. The Grain Loft is in a very rural location and you will need either a car/hire car (not included in the prize) No incidental expenses are included, and the winner is responsible for all meals, spending money, transport costs and sundries. Maximum occupancy is for 2 people. Only one entry per person.